Abstract: Since independence, India has followed the path of planned economic development. Initially, the basic objective of Indian fiscal policy was to ensure acceleration in the growth rate with social justice. Given this objective, the fiscal policy had a significant impact on the overall growth rate of the economy during the period of planned economic development. However, the overall growth rate of the economy was not up to the mark and the results on many fronts did not meet with the expectations One of the major endeavor by Government of India was to plan Goods and Services Tax (GST) in the country(still pending) . GST is the only indirect tax that directly affects all sectors and sections of our economy. Therefore, we all need to learn it. The GST is aimed at creating a single, unified market that will benefit both corporate and the economy. The changed indirect tax system GST–Goods and service tax is planned to execute in India. Goods and service tax is a new story of Value Added Tax (VAT) which gives a widespread set off for input tax credit and subsuming many indirect taxes from state and national level. Since 1991, the major thrust in fiscal policy was on overall reforms in tax policy and administration. Initially, the reforms in direct taxes focused on simplification and rationalization of the rate structure; reduction in the high marginal rates and the rate categories; reducing the dispersion and lowering of tax rates. However, owing to the plethora of changes in the original enactment of all the taxes on income and property, the tax structure has now become very complex. Consequently, efforts were made to redraft the overall Income Tax Act. The revised enactment, known as Direct Taxes Code (DTC), consolidates all the laws relating to direct taxes, viz. income-tax, dividend distribution tax, fringe benefit tax and wealth-tax, so as to establish an economically efficient, effective and equitable direct tax system. In the case of indirect taxes, steps have been taken to reduce multiplicity of rates, rationalize the rate structure, and facilitate the adoption of VAT in union excise duty and sales tax. The introduction of dual-VAT has been a remarkable achievement. It helped in removing the cascading effect from taxes and in making business more competitive. However, this was only a short-term reform. The dual-of changes in the original enactment of all the taxes on income and property, the tax structure has now become very complex. Consequently, efforts were made to redraft the overall Income Tax Act. The revised enactment, known as Direct Taxes Code (DTC), consolidates all the laws relating to direct taxes, viz. income-tax, dividend distribution tax, fringe benefit tax and wealth-tax, so as to establish an economically efficient, effective and equitable direct tax system. The CenVAT generates definitional issues relating to a commodity whether it falls in a particular rate group and causes valuation problems leading to large number of litigations. It has a narrow base due to which the tax system lacks neutrality and continues to be inefficient. The services are taxed by the Centre only and these are taxed independent of commodity taxes. This causes difficulties in taxation of goods supplied as a part of a composite works contract or leasing contract. The cascading of CenVAT under sales tax and of sales tax under CenVAT continues. This applies to central sales tax (CST) as well. The existing system is creating a bias in favour of imports which do not bear the hidden cost of taxes on inputs. The tax administration at both the Centre and the State levels is still very complicated and complex. Recognizing the above weaknesses, it is now proposed that a Goods and Services Tax (GST) be introduced to replace the existing dual-VAT, service tax and some other commodity taxes levied by both the Centre and State Governments. In 2009, the Empowered Committee of State Finance Ministers (EC) constituted a Joint Working Group (JWG) to give a detailed framework for GST. According to the JWG, the GST for Central Government would cover Cen VAT (including union excise duty); the additional excise duty countervailing duties (CVD) and other domestic taxes imposed on imports to achieve a level playing field between domestic and imported goods (which are currently classified as customs duty): cesses and surcharges levied by the Union; and special additional duty of excise on motor spirit and high speed diesel. Among the State taxes, the GST will cover state-VAT, purchase tax, entertainment tax, luxury tax, and entry tax not levied in lieu of octroi. The coverage of GST would, however, exclude the taxes on petroleum crude and its products. The exclusion of petroleum crude and its products from GST is based on the premise of raising larger resources through cascade type taxes. This would in fact cause higher incidence of tax on inputs including capital goods and would ultimately affect the efficiency of the overall petroleum sector. It is, therefore, suggested that the overall petroleum sector should be brought under the GST regime with additional levy of excise and sales tax, if necessary for raising more revenue. In the case of tobacco it has been proposed that it would be a part of the base of GST. However, the Centre will levy a special excise duty to yield larger tax resources for its activities; the States would not levy any additional tax on it. This raises the question: Why should there be an unequal base for the Centre and the States? Whatever the base finally accepted by both, the proposed GST will have two components - CGST(levied by the Centre) and SGST (levied by the States). The rates of these two components will be determined keeping in view the revenue implications for the Centre and the States, total tax burden and the general acceptability of the tax. In this context, the EC initially suggested that die rate should be in the vicinity of 15 per cent, a 7 per cent rate to be levied by the CGST and 8 per cent by the SGST. This is based on the premise that currently the effective tax rate is 13.5 per cent (with some lower rate categories of 5 per cent and some more than 13.5 per cent) for state-VAT, 10 per cent for CenVAT and 12 per cent for service tax. The Central Government on the other hand, has proposed that in the first year of the introduction of GST there would be a three tier rate category,viz. 6 per cent on essentials, 8 per cent on services and 10 per cent as standard rate. The standard rate would come down to 9 per cent in the second year and will be 8 per cent in the subsequent years. Similarly, the 6 per cent rate on essentials would increase to 8 per cent in the third year. Thus, in the third year GST would have a single rate. The States, however, differ on this aspect. In fact, after a recent visit of some foreign countries by State Finance Ministers, the EC has opined that when the European countries have more than one rate in their VAT regime, why should it be so difficult to have similar system in our country exports would be zero-rated. While there has been some sort of agreement on this issue in the past, it seems that the "Pandora's box of different models of inter-State taxation” has been reopened. Tax on inter-state trade under the current system of dual- VAT is origin-based and is collected by the exporting State under the provisions of the Central Sales Tax (CST) Act of 1956. The origin-based CST being inconsistent with the GST, the current system of CST is proposed to be replaced by a destination based "Integrated GST". Therefore, there would be no 'tax- exporting' to the importing States. All inputs including capital goods would be given a set-off. Also, exports would be zero-rated. While there has been some sort of agreement on this issue in the past, it seems that the "Pandora's box of different models of inter-State taxation" has been reopened. This is unfortunate and must be treated as settled. First, the proposed amendment to the Constitution envisages the setting up of a GST Council to make recommendations on issues like rates of tax, exemptions and threshold limits. The Bill empowers the President to set up the Council with the Union Finance Minister as Chairperson, and the Union Minister of State for Revenue and Finance Ministers of all the States as Members. The States, however, feel that they should have equal authority with regard to all the aspects related to the Council. Keeping in mind these objections raised by the States, we propose that the GST Council should be constituted on the pattern of the present EC which has had an excellent track record of reforming the tax system for more than a decade. Accordingly the proposed Council should comprise of the Union Finance Minister and the Finance Ministers of all the States and the Union Territories as its members. The revenue interest of the Centre would automatically be taken care of due to the fact that any change would affect the Centre and the States in a similar fashion. Second, the bill provides for the setting up of a GST Dispute Settlement Authority. This will have a Chairperson and two members to resolve disputes arising out of deviations from the recommendations of the GST Council either by the Centre or the State Governments. The States have serious concern about the need of having such a body. Third, the decision to exclude petroleum products from the coverage of GST needs reconsideration. It is proposed that the petroleum products should be included in the definition of GST to have a broader base for the tax. Even if the GST is presently not levied on these items, excluding these items from the definition and coverage of GST in the Constitution Amendment Bill will make the system inflexible. In future, if the States or the Centre decided to levy GST on these items, it would require another Constitutional Amendment. From a futuristic point of view, it would be prudent not to confine the scope of the tax under the bindings of the Constitution. The Select Committee constituted to examine the Constitution (122nd Amendment) Bill, 2014 submitted its report to Rajya Sabha on July 22, 2015. The Bill was passed in Lok Sabha on May 6, 2015, and referred to the Select Committee of Rajya Sabha for examination. The Committee recommended that compensation would be provided to states for a period of five years. Earlier there was an option in the bill for compensation for less than 5 years. The Committee recommended that the GST rate for the banking industry should be minimum, to ensure international competitiveness. If possible, banking services could be outside the purview of GST. The Banks argued that some of the services of banking industry are to common man hence the services will become expensive if GSTis levied more than 14% i.e. the present rate of service tax. The Committee stated that the provision of 1% additional tax is likely to lead to cascading of taxes. Hence, it recommended that the term supply be explained to mean all forms of supply made for a consideration. Earlier the bill empowered exporting States to levy 1% additional tax to promote manufacturing States but there was no likely exemption in stock transfer made to other Branches of same organization in other States. 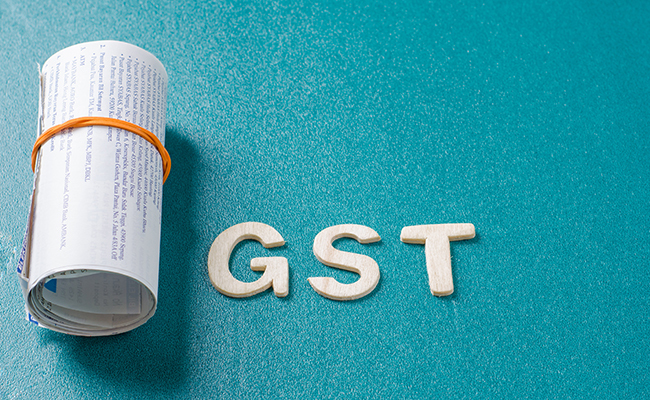 The Committee recommended that the term “bands” must be defined to include the range of GST rates, over the floor rate, within which CGST and SGST may be levied on specific goods or services or classes of goods or services. Earlier the bill did not contain any specific rate up to which GST can be levied over and above the floor rate. The Committee recommended that in drafting of state GST laws, revenue sources of Panchayats, Municipalities etc. must be protected. Entry tax, Entertainment taxes are being subsumed in GST hence it is necessary to protect the revenue source of these civic bodies. Notes of Dissent were submitted by Members of Parliaments and in my personal view the dissent notes were political motivated and took a different stand than the view taken by Empowered Group of State Finance Ministers in its various meetings. The Empowered Group is a body of State Finance Ministers which has done a tremendous job in bringing GST to this stage. Gross turnover of above Rs 15 crore be assigned to both the Governments: for the administration of CGST to the Centre and for the administration of SGST to the States. The above design for the administration of GST would not only involve both the tiers of Government but also require interaction between dealers and the officers of tax administration at the Centre, as well as in the states. In future, if the states or the centre decided to levy GST on these items, it would require another Constitutional Amendment. From a futuristic point of view it would be prudent not to confine the scope of the tax under the bindings of the Constitution. However, keeping in view the tenets of taxpayer convenience and least compliance cost, it is suggested that instead of involving both the Governments in all the administrative procedures it would be more rational to assign specific tasks to the Centre and the States. Inspite of the success of VAT at large there are still some shortcomings both in the Central and State level. In the existing State-level VAT Structure there are also certain shortcomings . There are, for instance, even now several taxes which are in the nature of indirect tax on goods and services, such as Entry Tax , luxury tax, entertainment tax etc., are yet not subsumed in the VAT scheme . At present the Central Government is charging Central Excise Duty at the point of removable of goods from the place of manufacture. The Central Excise Duty is to be deposited irrespective of payment against goods removed from the place of manufacture. Service tax is charged on the date of rendition of services or the date of receipt of payment whichever is earlier. The State VAT if chargeable at the time of sale of goods irrespective of receipt of payment against such sale. The introduction of GST will be a solution to it. GST would be chargeable on each transaction like sale of goods, incorporation of goods in a individual contract, hiring equipment, lease paid , consultation fee paid ,rendition of any service or may be a transfer of immovable property etc. The introduction of unified GST would bring VAT in its true sense. Presently the VAT system, basically can be called non-integrated GST, in the sense that at present goods and services are taxed separately . The taxable event under GST system will manufacture”, “sale of goods” “render of services” will not be relevant under GST system. The prices of commodities are expected to come down in the long run as dealers pass on the benefits of reduced tax incidence to consumers by slashing the prices of goods. Being consumption based tax, dual GST will result in better revenue collection for states with higher consumption of goods and services. First, there should be a thorough re-engineering of the department of GST (i.e. the departments of SGST and of the CGST) at both the levels. This must be done in such a way that the responsibility, accountability and authority of each tax department at the Central and the State level could be established. Second, given the limited number of officials at the Central level, it is proposed that these officers be assigned special tasks to monitor the operations of a large number of dealers under 0(CST and SGST. The day-to-day operations related to registration, payment of tax, and submission of return for all the dealers (irrespective of their size) should be assigned to the States. In other words, the dealers will register and submit their return to the State Department where the dealer is located. In general, the dealers will interact with one tax authority only. Third, payment of tax by the registered dealer will be made into the bank account of the concerned Government, viz. the tax receipts from SGST would be paid into the account of the State Government and the tax receipts from CGST paid into the bank account of the Central Government. Fourth, cross-verification of documents must be strengthened under the new regime. In the absence of proper cross verification, the dealers avoid the payment of tax and claim undue credit for taxable sales. Tax evasion can be prevented by setting up departments similar to the centralized, as well as regional, anti-evasion organization in France. Drawing upon the experiences of countries like France, it is proposed that this role be bifurcated between the officials of the SGST and those of CGST. The former should look into the issues of cross-verification within the State boundaries and the latter should deal with tax cases having inter-State and inter-country ramifications. Fifth, auditing is essential to minimise the gap between the reported tax and the actual statutory tax liability of the taxpayer. Therefore, there is need for a proper audit plan to cover. Vineet Jain, Associate Professor in Commerce , S.A.Jain College, Ambala City. 1.Competitiveness Kelkar, Vijay (2009b): Special Address at 3rd National Conference on “GST for Accelerated Economic growth and”, Special Address, New Delhi, 29 June. 2.Ministry of Commerce and Industry, Department of Commerce (2008): Office Memorandum: Inputs for 13th Finance Commission, F. No. 19/4/2007 – FT (ST), July 1, 2009. Ministry of Finance (2008-09): “Indian Public Finance Statistics”, Department of Economic Affairs, Economic Division, GOI. Ministry of Finance and Company Affairs, GOI (2002): “Report of the Task Force on Indirect Taxes”. Ministry of Finance, GOI (2004): “Implementation of the Fiscal Responsibility and Budget Management Act, 2003”. 3.Poddar, Satya and Ehtisham Ahmad (2009): “GST Reforms and Intergovernmental Considerations in India”, Ministry of Finance, Government of India. 4.Rao, M. Govinda and R. Kavita Rao (2006): “Trends and Issues in Tax Policy and Reform in India”, India Policy Forum – 2005-06, NCAER-Brookings Institution. 5.Sharma, Chanchal Kumar (2005), “Implementing VAT in India: Implications for Federal Polity”, The Indian Journal of Political Science, Vol. LXVI, No. 4, Oct.-Dec. Srivastava, D.K. (2005), Issues in Indian Public Finance, New Century Publications, New Delhi.